If you have been following my blog posts for a while, you know by now that I get inspiration from my own life. I don't have any planned schedule of what the topic for the day will be, I write what I feel needs to be written. Sometimes I write about my own experiences with abuse, both as it has impacted me as well as my children. Sometimes I comment on stories I have come across or an issue that I feel needs to be highlighted. Other times it is just about what has happened to me that day. Being a survivor of Domestic Violence and a part of this website isn't glamorous, my life is like so many others' lives, I pay the bills (usually) and do my best to put nutritious food on the table - I struggle with stomach flu and flat tires, irritating people and challenging situations - my aim is that by putting myself out there a little, I can hopefully help others not to feel so alone. So today I've got news for everyone... yes, I can sense you all sitting a little closer to the edge of your seats... I went back to work. OK, not the most staggering news for many but for me, well it is the culmination of two and a half years of angst. I went back on Monday of this week, for a whopping four hours. They call it 'work hardening'. The last time I saw these people I was extremely depressed and had not left my abusive marriage, in fact I had not even come to terms yet with the fact that I was a victim of Domestic Violence. I left because I could no longer cope with the stress of the job, the long hours and the situation that had been unfolding at home. My eldest daughter was at a residential treatment facility in Utah at the time and I was still reeling with everything to do with getting her the help that she needed. When I left I was a mess. I was completely incapable of regulating my emotions and in fact I cried my whole last night shift. But that was then and this is now. I walked through those double doors on Monday morning a new woman. I mean a NEW woman. For all my fears over the last couple of years, of whether or not I could do it anymore (and yes, I have written about that here too), I was able to do what I didn't think I could ever do again. And you know what? I needed to do it when I was ready. I needed to be at the right point in my life to do it, when I was ready not when someone else thought I should be ready. I walked through those doors, not timid, afraid of the reception I would get, I walked through a survivor. I tell you, I held my head high and I felt like a million bucks. OK, so I have gained about thirty pounds, so nobody actually recognized me at first lol... but when they did... hugs, smiles, more hugs, laughter - good stuff. 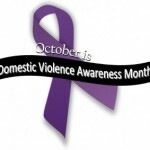 I am a survivor of Domestic Violence. I have had my life turned upside down, I've been chased, intimidated, scared half to death, put down, humiliated and I've cried more than I ever thought was possible. I have been brave for myself and courageous for my children. I have stood tall in the face of false accusations, police in my home and uninformed, opinionated child protection workers. I have defended myself and advocated for myself and my children and I have surprised myself at every turn. I am a survivor in the very best sense of the word and that is something of which to be proud. Anything is possible my friend, just believe in yourself. What can we do to stop violence against women and children? You are an inspiration to those of us who are just beginning the “journey”. Thanks for sharing. iam glad to heard to worked out well for you. I am so pleased that you like coming to the site Jo-Ann, your comments are always so appreciated. Thanks!